Do you love the look and feel of eco-friendly, natural products? I do. Makes me feel like I’m at a spa. De-wire and de-clutter your desk and make room for this ibamboo speaker crafted by an Etsy seller out of a single piece of bamboo. 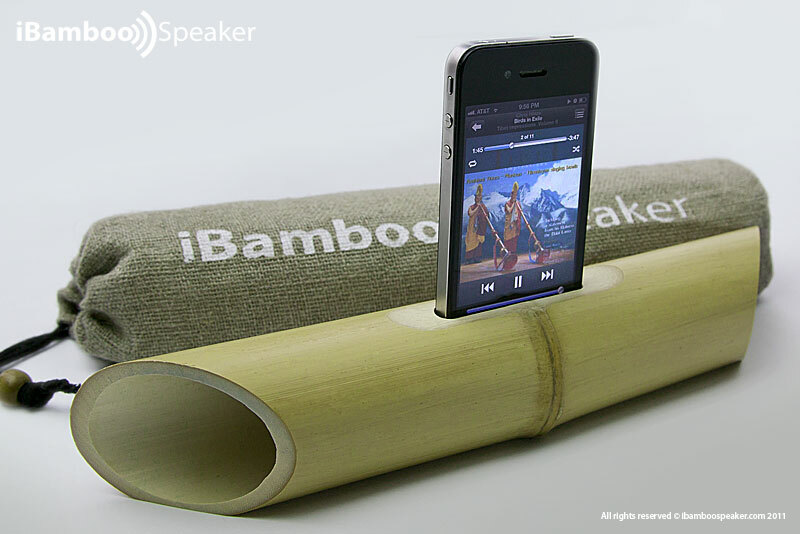 It’s made for the iphone 4/4S and you just slot your phone into it, and the music fills the room naturally as the natural resonance of the bamboo amplies the sound. This even makes for a great gift. Each one is unique and is a 100% eco-friendly and uses no electricity and no wires! What a great idea! So cool! Who doesn’t love an eco-friendly product? Is there a video of it in action? oooh this is awezum! wish i’d thought of this before getting a jambox. p.s this comment seems very familiar – i think i may have left one juist like this on one of your other posts. Um..this is superrrr awesome. I want to buy it.